Necrotizing inflammation of vessels in multiple organs is a hallmark of antibody-associated vasculitis. In the current study, researchers leveraged SRM; this technique allows for quantitative detection of proteins without the need for antibodies and is now widely used for the discovery of clinical biomarkers.4 The sera of 169 Japanese patients (104 women; mean age, 71) with active AAV (105 with microscopic polyangiitis, 36 with granulomatosis with polyangiitis, 25 with eosinophilic granulomatosis with polyangiitis, and 3 unclassifiable) fulfilling the criteria for primary systemic vasculitis were analyzed and compared with those of healthy individuals (n=30). For 79 of the patients with AAV, the researchers collected serum before and 6 months after treatment onset. After liquid chromatography-tandem mass spectrometry analysis, they identified 52 proteins as potential biomarkers: these proteins were endothelium related, had been identified before treatment, and were found to be downregulated after treatment. An additional 87 endothelium-related proteins were selected “to maximize the chance of discovering marker proteins,” leading to a total of 135 proteins subjected to SRM analysis. 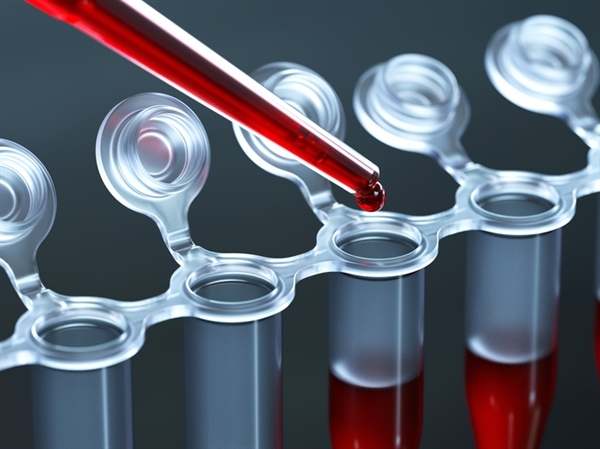 Analysis of paired serum samples led to the identification of 9 candidate biomarkers for disease activity, including C-reactive protein, extracellular matrix (ECM), leucine-rich α-2-glycoprotein 1, matrix metalloproteinase 9, tissue inhibitor of metalloproteinase 1 (TIMP1), CD93, and transketolase (TKT). All candidate biomarkers were validated in paired serum samples with enzyme-linked immunosorbent assays. Seven of the identified markers showed correlation with disease activity assessed with the Birmingham Vasculitis Activity Score version 3, with TKT showing the strongest correlation. TKT and CD93 were both found to be predictive of renal (but not lung) involvement in AAV, as indicated by increased baseline serum levels for those proteins in patients with (n=120) or without (n=49) renal disease before treatment onset (P <.001), and in patients who developed end-stage renal disease (n=15) vs those who did not (n=97) after 6 months of treatment (P <.001). Serum levels of TKT and CD93 were also associated with disease severity, as shown by significantly higher levels in patients with localized (n=5) or early systemic (n=37) AAV vs generalized (n=96; P <.001 for TKT; P <.05 for CD93) or severe disease (n=31; P <.001 for TKT; P <.01 for CD93). In addition, patients with active AAV (n=169) had higher serum levels of TKT, CD93, and TIMP1 than patients with active rheumatoid arthritis (n=30), active systemic lupus erythematosus (n=21), or bacterial infectious diseases (n=25). “We identified promising biomarkers of disease activity and severity, as well as organ involvement, in AAV with a targeted proteomics approach using serum samples,” noted the researchers, adding that, of the 9 proteins identified, TIMP1 was the most reflective of disease activity and TKT and CD93 assisted in the assessment of renal involvement as well as disease severity. “It is expected that these biomarkers will be clinically useful for therapeutic decision-making, monitoring of disease activity, and predicting prognosis,” concluded the investigators. Ishizaki J, Takemori A, Suemori K, et al; for the Research Committee of Intractable Vasculitis Syndrome and the Research Committee of Intractable Renal Disease of the Ministry of Health, Labour and Welfare of Japan. Targeted proteomics reveals promising biomarkers of disease activity and organ involvement in antineutrophil cytoplasmic antibody-associated vasculitis. Arthritis Res Ther. 2017;19(1):218. Xiao H, Hu P, Falk RJ, Jennette JC. Overview of the pathogenesis of ANCA-associated vasculitis. Kidney Dis (Basel). 2015;1(4):205-215. Birck R, Schmitt WH, Kaelsch IA, van der Woude FJ. Serial ANCA determinations for monitoring disease activity in patients with ANCA-associated vasculitis: systematic review. Am J Kidney Dis. 2006;47(1):15-23. Kennedy JJ, Abbatiello SE, Kim K, et al. Demonstrating the feasibility of large-scale development of standardized assays to quantify human proteins. Nat Methods. 2014;11(2):149-155.